It’s not every day that you meet someone who shares your first name and last initial. It’s even more rare to meet someone with those commonalities and with uncannily similar writing passions and aspirations. I met British-born writer Sara Litchfield (who now lives in New Zealand) during WANACon this past February, and right after having joined Twitter. Since then, she’s buckled down on revisions and edits for her debut novel The Night Butterflies – all while working as an accountant and maintaining her own editing business. (And drinking lots of tea to help!) I was privileged to beta-read The Night Butterflies during that time. Told from the perspectives of two children and three adults in the aftermath of a nuclear apocalypse, the story chilled me with its harrowing plot and inspired me with its message of hope, friendship, and humanity. Now that The Night Butterflies is out (YAY! ), I’d like to introduce you to Sara and (creatively speaking) her bundle of joy. Find how Sara handled her first flight through NaNoWriMo, why she chose to self-publish The Night Butterflies, how moths inspired the title for her book, and much more. Please give Sara a warm welcome, and check out The Night Butterflies at any of the links shared below! Q: Thank you so much for being here today, Sara! And congratulations on The Night Butterflies! How do you feel now that it’s out in the world? Q: When did you realize how serious you were about writing and getting your work published? Sara: I’ve always wanted to be published outside of academia, but I catalogued it under pipe-dream and prioritized other things in life for far too long. I became serious about the idea in July last year; I joined two writers’ groups and started blogging. In 2013, I made a new year’s resolution to write a novel, and this year I made one to publish it. Q: What inspired you to write The Night Butterflies? Sara: I’ve long been an avid reader of utopian and dystopian literature. At university, where I studied theology, I wrote my dissertation on whether human fulfillment is possible, exploring the theology, philosophy, and literature of hope. My fascination with hope was certainly the inspiration for the book. Q: Dystopian has become increasingly crowded literary genre in recent years. In your opinion, what makes The Night Butterflies stand out? Sara: The world will always turn to utopias and dystopias, whether literary, social, political, theological, or philosophical, and take something away from the very idea of them. I’ve read so much in this genre, studied it, asked myself what else there is to say. And it’s not that there’s anything new to say, just a new story to say it. The difference is in the five unique people suffering this of all worlds: who they are, how they change, what they learn. If The Night Butterflies stands out, it will be because it’s telling their story in particular. The same things can happen to anyone – falling in love, cheating death, defying tyranny – but each person’s stories, like your own stories, will be different in the detail. The Night Butterflies follows five different people, whose stories differ even while sharing the same experience. The book shares a genre, shares its themes and concepts, but these people’s stories are not told anywhere else. Q: I absolutely love the book’s title! Could you share why you chose The Night Butterflies and (without giving much away!) how it relates to the story? Sara: One day, my muse showed up in the form of moths at the window where I was writing, attracted to the lamp and trying to get in. They didn’t get into the room, but they did get into my story. They are the one living thing to survive naturally in the novel’s radiation-ravaged world without becoming poisoned or poisonous themselves. I hijacked their nickname (“night butterflies”) from the simple and immediate response my Welsh boyfriend gave to a French-Canadian friend asking for the definition of a moth. The phrase took root in my mind and never left, loitering there, dark and beautiful. Once the themes of change and evolution emerged in the book, it became the title. Q: I have to applaud you for using multiple narrators (five in total) in your novel. Why did you decide to do this? Sara: There were several people’s stories to be told, and I thought the best way to tell them would be through the people themselves. I liked the idea of offering different perspectives on common experiences. There are so many sides to any one story. Q: Who was your favorite POV character to write about? Who was the most challenging? Sara: Teacher was my favorite. She resonated with me most. The children were more difficult. Jimmy-1’s was the first voice to pop into my head when I started writing, but keeping up with his dialect was challenging. I didn’t want it to be off-putting. Q: One of the standouts of this novel for me was the idea of what makes someone a monster. How is this theme important to your story? Sara: The question of condemnation is an important one in the story. Just as one person’s heaven is another’s hell, one person’s monster can be another’s savior. We should never be too quick to condemn. The story reminds us that a lot of monsters are man-made. Q: You wrote the first draft of The Night Butterflies during NaNoWriMo. How was that? Did you feel like you were “flying by the seat of your pants”? Sara: Definitely! I didn’t obsess over preparation and plot prior to NaNo. So, some days, I was literally looking out the window for inspiration (hence, the title!). But grabbing onto a thought tangent and going down it was often rewarding and wouldn’t have happened if I was writing an over-developed plot over a long period of time. Watching the word count go up was motivating, and I felt a massive sense of achievement when the month was done. I certainly learnt from NaNo never to expect your first draft to be anywhere near your last. Fail to plan, and plan to rewrite – a lot. Q: You also invited beta readers to read The Night Butterflies. How did their feedback influence later drafts of the novel? Sara: Handing out something I knew was far, far from perfect was difficult for me, but it was one of the most valuable steps in the whole process. Every critique I received had something enlightening to add to my book. Beta readers made it better – it’s as simple as that! They challenged me to be more coherent, more exciting, more satisfying – and they pointed out where it was possible to work on that. Q: What influenced you to self-publish The Night Butterflies instead of going the traditional route (agents, publishing houses)? How has your experience been so far? Sara: I’m not at all against the traditional path. However, the more I’ve learnt about self-publishing, the more enamored of it I’ve become. It’s certainly not a lazy way of circumventing the gatekeepers. Taking responsibility for the quality of every single aspect of your book’s make-up and delivery means a lot of hard work. I was particularly keen to set myself up as a publisher because of my editing business; I wanted to experience first-hand the end-to-end journey a lot of my clients are taking. It was very satisfying to set up RIW Press as a division of my business, Right Ink On The Wall. I love learning and I’m not adverse to a challenge, and self-publishing involves both. Q: What one piece of advice would you give to other writers who are working on their first drafts? Sara: In your first draft, don’t get caught up on the little things. I knew all sorts of events were off-kilter or flat-out impossible from a temporal point of view, but I didn’t waste time trying to fix conundrums or polishing sentences I wasn’t happy with. I’d never have finished the draft that way. Many, many prettily-worded passages were lost during the editing process anyway (there was a mass murder of darlings), so it wouldn’t have been time well spent. When you have a whole mess, you can make something out of it. Don’t get yourself stuck on minutiae until you have made a whole mess. Q: Any idea what your next writing project might be? Are you working on something new right now? Sara: Pen hasn’t touched paper, but I’m fairly certain my next book will lean towards horror. I’m excited to start my next project but want to see this one safely toddling around first! About Sara Litchfield: Sara Litchfield is a happy and hopeful writer looking forward to throwing her fiction at the world and seeing where it sticks. Right Ink On The Wall is home to her editing business, publishing press, and blog. All aim to make the right mark on the wall of the world. The Night Butterflies is her debut novel. 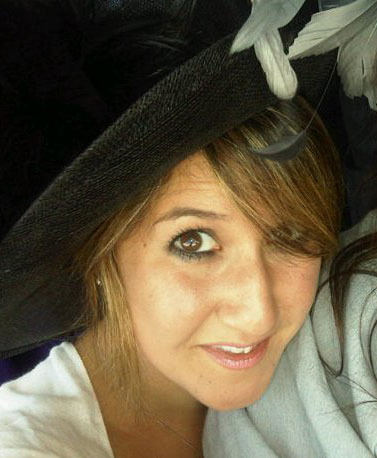 Visit Sara at her official website, her blog, Facebook, Twitter, Pinterest, Google+, and LinkedIn. The Night Butterflies is available for purchase at RIW Press, Amazon (print and Kindle), Smashwords, Barnes & Noble, Kobo, and iTunes. 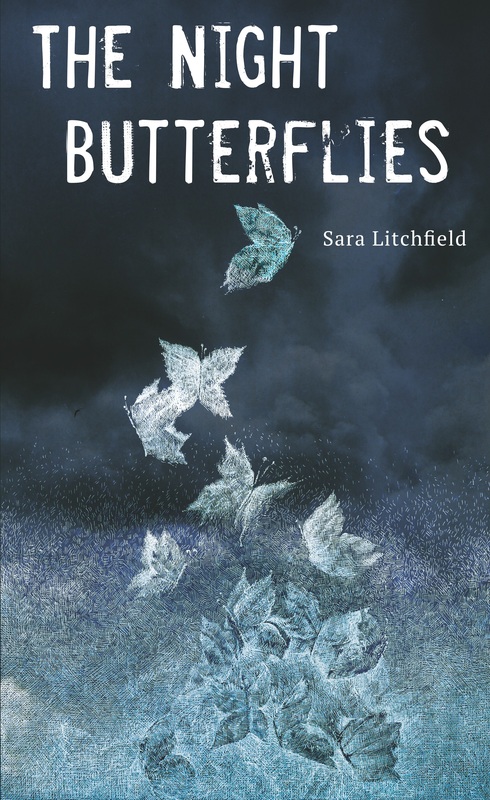 Lots of bookiness & backflips here this week to celebrate the release of The Night Butterflies! I had an author interview with the lovely Sara Letourneau over at her brilliant blog, where she brews a passion for writing with fantasy, tea, music, and reading 🙂 do pay her a visit! What a nice interview and introduction to your story. I’m excited from this description! Best of luck with sales! We’ll have to compare notes 🙂 I’m having no luck with Nook or Smashwords. You?